Friends, you have all participated in this ten-day Dhamma seminar. This is the paṭipatti, the practical side of Dhamma. Without this experience of the practical side of Dhamma, the theoretical aspect will not be clear. Of course, it is not expected that in ten days you will have grasped the deeper aspects of Dhamma, but you should have gained at least a rough outline of what the path is, a rough outline of what the law of nature is. I keep repeating that Dhamma does not mean Buddhist Dhamma, or Hindu Dhamma, or Jain Dhamma, or Muslim or Christian or Parsi Dhamma. Dhamma is Dhamma. And also Buddha is Buddha. Not just one person has become a Buddha. Anyone who gets fully enlightened is a Buddha. And what is full enlightenment? It is the realisation of truth at the ultimate level by direct experience. When someone becomes fully enlightened, that person does not establish a particular sect or a particular religion. He just explains the truth that he has realized himself, the truth that can be realized by one and all, the truth which liberates one from all the misery. Universal Dhamma the law of cause and effect. Yo paṭicca samuppādaṃ jānāti so dhammaṃ jānāti; yo dhammaṃ jānāti, so paṭicca samuppādaṃ jānāti. The Buddha proclaimed so clearly that one who understands the law of cause and effect, understands Dhamma, and one who understands Dhamma, understands the law of cause and effect. The law of cause and effect is never sectarian. It is not applicable only to a particular community, a particular caste, people of a particular colour, of a particular country, or of a particular time or era. The law is universal: it does not differentiate, it does not discriminate. The law of nature is such that the moment you generate negativity in the mind, the mind influences matter, and this reaction which starts within your material structure makes you feel very agitated, makes you feel very unhappy, very miserable. You may call yourself a Hindu, or a Muslim, or a Christian, or a Jain, or a Buddhist. You may call yourself an Indian, or a Pakistani, or a Sri Lankan, or a Burmese, or an American, or a Russian. But the moment you generate negativity in the mind, the law of nature is such that you are bound to become miserable. Nobody can save you from your misery. If you do not generate negativity in your mind, however, you will notice that you are not miserable. A mind that is free of defilements, a pure mind, is again by nature full of love, full of compassion, full of sympathetic joy and full of equanimity. If there is a practice, if there is a technique, if there is a path that can change the habit pattern of the mind, and the mind can be made pure by washing away the negativities, the defilements; then one who follows it naturally comes out of misery. One may keep calling oneself by any name, it makes no difference. The law is the law: it is universal. This is the enlightenment of the Buddha and this is what he taught. The Buddha was never interested in a particular philosophy. Most of the time a philosophy is created by people who play games of imagination, of intellectualisation. Philosophies are also created by people who may have experienced just a few steps on the path, and with whatever experience they have gained, they form a philosophy which becomes a blind belief for their followers. And this is how sects are established: based on beliefs which are imaginary, or beliefs which are created by intellectual games, or beliefs which are created by partial experience of the truth. An enlightened person understands all of this. He will never insist that people accept whatever he says because he is a realised person, a fully enlightened person. You must realise the truth for yourselves, and here is a process by which you realise the truth directly. You take steps on the path and whatever you have realised, you accept it: and step by step, with an open mind you keep experiencing deeper truths on the path. The path is there so keep walking on it. Of course, there are rules which must be observed: not to get involved in any kind of imagination; not to get involved in techniques in which you try to see reality with the coloured lenses of your own traditional beliefs. Otherwise the technique will not work. You just observe the reality from moment to moment, as it is, understanding its nature, its characteristic. The reality of the entire universe outside, however, can be experienced only when it comes in contact with the sense doors of your own body, because only the reality within the framework of the body can be directly experienced. And now you have started experiencing this reality within the framework of the body. As I said, in ten days it is not expected that you become perfect in understanding this natural law. But a student who comes to investigate the truth, and works with an open mind, will at least know what the path of truth realisation is. Within these ten days one becomes convinced that the technique is right: that by proceeding on the path the subtler, finer realities pertaining to mind and matter will be realised the interaction between mind and matter and how one influences the other; that the whole process has nothing to do with this religion or that religion; that it has nothing to do with this belief or that belief. You have worked like scientists investigating the truth by dividing, dissecting, disintegrating, dissolving and analysing it, not merely at the intellectual level, but at the experiential level, at the actual level. You have taken a tiny step on the path to understand nāma, what this mind is; to understand rūpa, what this matter is. As you proceed further, the path will lead you to the stage where you can experience the dance of every tiny subatomic particle which makes up the physical structure within the framework of your body, as well as outside in the universe; how the tiniest subatomic particle arises and passes, arises and passes. And as with matter, so with the mind. You keep dividing, dissecting and disintegrating, and the reality about the mind becomes clearer and clearer. A stage will come when you will be able to realise the ultimate truth pertaining to the mind; that it too arises and passes, arises and passes. And a time will come when you will be able to realise the ultimate truth pertaining to the mental contents which arise in the mind, the concomitants which arise along with the mind; that their nature is to also arise and pass away, arise and pass away. This investigation of truth pertaining to matter, pertaining to mind and pertaining to the mental concomitants, the mental contents, is not merely for the sake of curiosity, but to change your mental habit pattern at the deepest level of the mind. As you keep proceeding you will realise how the mind influences matter, and how matter influences the mind. Every moment, masses of subatomic particles kalāpas within the framework of the body, arise and pass away, arise and pass away. How do they arise? The cause becomes clear as you investigate the reality as it is without influence from any past conditioning of philosophical beliefs. The material input, the food that you have taken, becomes a cause for these kalāpas to arise therefore they are called āhāraja. You will also find that kalāpas arise and pass away due to the climatic atmosphere around you and they are called utuja. You also begin to understand the formation of the mind-matter structure; how matter helps matter to arise and dissolve, arise and dissolve. Similarly you understand how mind helps matter to arise and dissolve and such matter is called cittaja, as it arises from the mind. You will also notice that at times matter arises from the mental conditioning of the past that is, the accumulated saṅkhāras of the past and this matter is called kammaja. 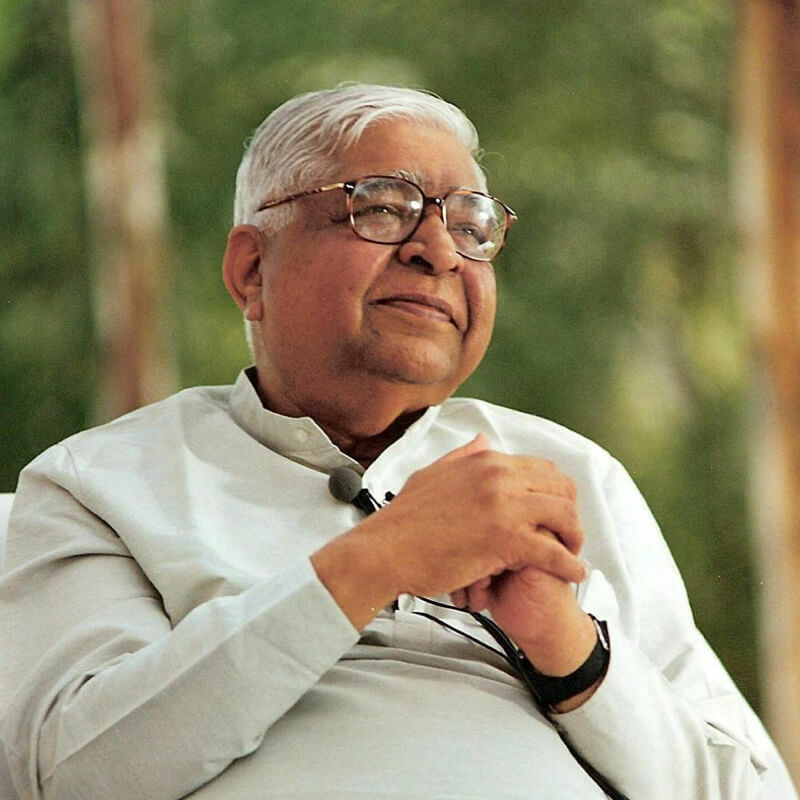 By the practice of Vipassana all of this starts to become clear. In ten days you do not become perfect in this understanding but a beginning is made. At this moment, what type of mind has arisen and what is the content of this mind? The quality of the mind is according to the content of the mind. For example, when a mind full of anger, or a mind full of passion, or a mind full of fear has arisen, you will notice that as it arises it helps to generate these subatomic particles. When the mind is full of passion, full of kāma-taṇhā, then within this material structure, a particular type of subatomic particles arise and there is a bio-chemical flow, a secretion, glandular or non-glandular, which starts flowing throughout the body with the stream of the blood or otherwise. This type of bio-chemical flow, which starts because a mind full of passion has arisen, is calledkāmāsava. Now as a very honest scientist, you proceed further, just observing the truth as it is, just observing how the law of nature works. When this secretion of kāmāsava starts, as it is the bio-chemical produced by passion, it influences the next moment of the mind with more passion. Thus this kāmāsava turns into kāma-taṇhā, a craving of passion at the mental level, which again stimulateskāmāsava, a flow of passion at the physical level. One starts influencing the other, starts stimulating the other and the passion keeps on multiplying for minutes together, at times for hours together. The behaviour pattern of the mind in generating passion gets strengthened because of the repeated generation of passion. And not only passion but also fear, anger, hatred, and craving every type of impurity that comes in the mind simultaneously generates an āsava. And this āsava keeps on stimulating that particular negativity, that particular impurity, resulting in a vicious cycle of suffering. You may call yourself a Hindu, or a Muslim, or a Jain, or a Christian: it makes no difference. The process is such, the law is such, that it is applicable to one and all. There is no discrimination. Mere understanding at the intellectual level will not help break this cycle, and may even create many difficulties. Your beliefs from a particular tradition may look quite logical, yet those beliefs will create obstacles for you. The intellect has its own limitation. You cannot realise the ultimate truth merely at the intellectual level. The ultimate truth is limitless, infinite, and the intellect is finite. It is only through experience that you are able to realise that which is limitless, infinite. Even those who have accepted this law of nature intellectually are not able to change the behaviour pattern of their minds, and as a result they are far away from the realisation of the ultimate truth. This behaviour pattern is at the depth of the mind. What is called the unconscious mind is actually not unconscious, as at all times it remains in contact with this body. And with this contact of the body a sensation keeps arising, because every chemical that flows in your body generates a particular type of sensation. You feel a sensation pleasant, unpleasant or neutral, whatever it is and with the feeling of this sensation, you keep reacting. At the depth of your mind you keep reacting with craving, with aversion, with craving, with aversion. You keep on generating different types of saṅkhāras, different types of negativities, different types of impurities, and the process of multiplication continues. You can’t stop it because there is such a big barrier between the conscious and the unconscious mind. When you practise Vipassana you break this barrier. Without Vipassana the barrier remains. At the conscious level of the mind, at the intellectual level of the mind, one may accept the entire theory of Dhamma, of truth, of law, of nature. But still one keeps rolling in misery because one does not realise what is happening at the depth of the mind. By experience, direct experience, one can understand this. Vipassana helps. And how does it help? Observing your respiration for a few days, you come to a stage where the mind becomes very sharp and very sensitive. And if you work properly, patiently and persistently, most of you in the first ten days, others in the second ten days, come to a stage where you can feel sensations throughout the body. Sensations are there every moment. Every contact results in a sensation Phassa paccayā vedanā. This isn’t a philosophy, it is the scientific truth which can be verified by one and all. The moment there is a contact, there is bound to be a sensation; and every moment the mind is in contact with matter throughout the physical structure. The deeper level of the mind keeps feeling these sensations and it keeps reacting to them. But on the surface the mind keeps itself busy with outside objects, or it remains involved with games of intellectualisation, imagination, or emotion. That is the job of your "tiny mind" (paritta citta), the surface level of the mind. Therefore you do not feel what is happening deep inside, and you do not feel how you are reacting to what is happening at the deeper level of the mind. 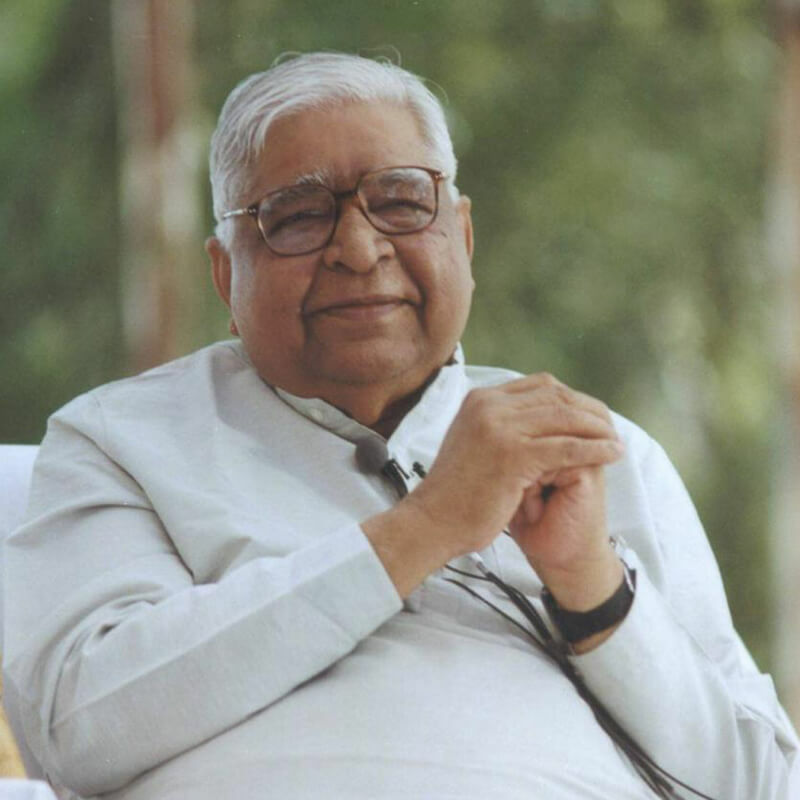 By Vipassana, when that barrier is broken, one starts feeling sensations throughout the body, not merely at the surface level but also deep inside; as throughout the entire physical structure there is sensation wherever there is life. And by observing these sensations you start realising the characteristic of arising and passing, arising and passing udaya-vaya. By this understanding you start to change the habit pattern of the mind. Say, for example, you are feeling a particular sensation which may be due to the food you have taken, which may be due to the atmosphere around you, which may be due to your present mental actions, or which may be due to your old mental reactions that are giving their fruit. Whatever it may be, a sensation is there, and you are trained to observe it with equanimity and not to react to it: but you keep on reacting because of the old habit pattern. You sit for one hour, and initially you may get only a few moments when you do not react, but those few moments are wonderful moments. You have started changing the habit pattern of your mind by observing sensation and understanding its nature of impermanence. This stops the blind habit pattern of reacting to the sensation and multiplying the vicious cycle of misery. Initially in an hour you get a few seconds or a few minutes of not reacting. But eventually, with practice, you reach a stage where throughout the hour you do not react at all. At the deepest level you do not react at all. A deep change is coming in the old habit pattern. The vicious cycle is broken: the chemical process which was manifesting itself as a sensation, and which your mind was reacting to with a particular impurity, a particular defilement for hours together, is now getting a break for a few moments, a few seconds, a few minutes. As this habit pattern becomes weaker, your behaviour pattern is changing. You are coming out of your misery. Again, this is not to be believed because the Buddha said so. It is not to be believed because your teacher says so. It is not to be believed because your intellect says so. You have to experience it yourselves. People coming to these courses have found by their experience that there is a change for the better in their behaviour. When we talk of addiction, it is not merely to alcohol or to drugs, but also to passion, to anger, to fear, to egotism: all these are addictions. All these are addictions to your impurities. And at the intellectual level you understand very well, "Anger is not good for me. It is dangerous. It is so harmful." Yet you are addicted to anger, you keep generating anger. And when the anger is over, you keep repeating, "Oh! I should not have generated anger. I should not have generated anger." Meaningless! The next time some stimulation comes, you again become angry. You are not coming out of it, because you have not been working at the depth of the behaviour pattern of your mind. The anger starts because of a particular chemical that has started flowing in your body, and with the interaction of mind and matter one influencing the other the anger continues to multiply. By practicing this technique, you start observing the sensation which has arisen because of the flow of a particular chemical. You do not react to it. That means you do not generate anger at that particular moment. This one moment turns into a few moments, which turn into a few seconds, which turn into a few minutes, and you find that you are not as easily influenced by this flow as you were in the past. You have slowly started coming out of your anger. People who have come to these courses go back home and apply this technique in their daily life by their morning and evening meditation and by continuing to observe themselves throughout the day and night in different situations; how they react or how they remain equanimous to these situations. The first thing they will try to do is to observe the sensation. Because of the particular situation, maybe a part of the mind has started reacting, but by observing the sensation, their minds become equanimous. Then whatever action they take is an action: it is not a reaction. Action is always positive. It is only when they react that they generate negativity and become miserable. A few moments observing the sensation makes the mind equanimous and then it can act. Life then is full of action instead of reaction. This practice morning and evening, and making use of this technique in the daily life, starts to change the behaviour pattern. Those who used to roll in anger for a long time find their anger becomes less. When anger comes it cannot last for a long period, because it is not intense. Similarly, those who are addicted to passion find the passion becomes weaker and weaker. Those who are addicted to fear find the fear becomes weaker and weaker. Different kinds of impurities take different amounts of time to come out of. Whether it takes a long time to come out of them, or a short time, the technique will work provided it is used properly. Whether you are addicted to craving, or aversion, or hatred, or passion, or fear, the addiction is to a particular sensation that has arisen because of the bio-chemical flow. This type of matter results in reaction at the mental level, and the reaction at the mental level again turns into this bio-chemical reaction. When you say that you are addicted, you are actually addicted to the sensation. You are addicted to this flow, the bio-chemical flow. The āsava of ignorance is the strongest āsava. Of course there is ignorance even when you are reacting with anger or passion or fear; but when you get intoxicated with alcohol or drugs this intoxication multiplies your ignorance. Therefore it takes time to feel sensations, to go to the root of the problem. When you get addicted to liquor, or addicted to drugs, you cannot know the reality of what is happening within the framework of the body. There is darkness in your mind. You cannot understand what is happening inside, what keeps on multiplying inside. We have found that in cases of alcohol addiction, people generally start benefiting more quickly than people who are addicted to drugs. But the way is there for everyone to come out of misery, however addicted they may be, however ignorant they may be. If you keep working patiently and persistently, sooner or later you are bound to reach the stage where you start feeling sensations throughout the body and can observe them objectively. It may take time. In ten days you may only make a slight change in the habit pattern of your mind. 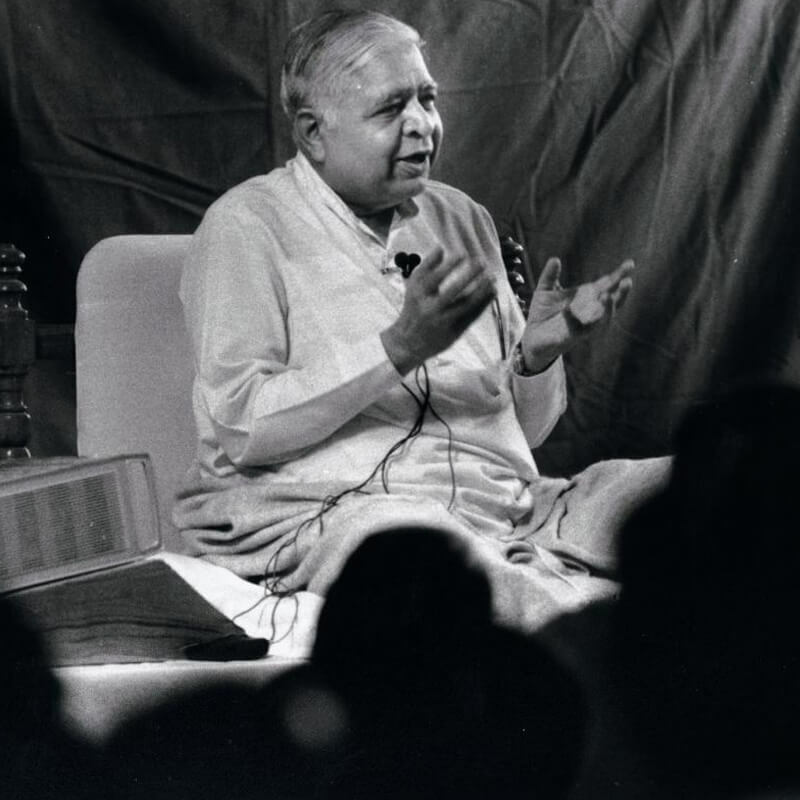 It doesn’t matter: a beginning is made and if you keep on practising morning and evening, and take a few more courses, the habit pattern will change at the deepest level of the mind and you will come out of your ignorance, out of your reaction. We keep advising people who are addicted to tobacco smoking even ordinary tobacco smoking that if an urge arises in the mind, not to take the cigarette and start smoking. Wait a little. Just accept the fact that an urge to smoke has arisen in the mind. When this urge arises, along with it there is a sensation in the body. Start observing that sensation, whatever the sensation may be. Do not look for a particular sensation. Any sensation at that time in the body is related to the urge to smoke. And by observing the sensation as impermanent, anicca, it arises, it passes, it arises, it passes and in ten minutes, fifteen minutes, this urge will pass away. This is not a philosophy but the experiential truth. Similarly for those who are addicted to alcohol or addicted to drugs, when an urge arises, we advise them not to succumb immediately, just wait ten or fifteen minutes, and accept the fact that an urge has arisen and observe whatever sensation is present at that time. And they have found that they are coming out of their addictions. They may not be successful every time, but if they are successful even one time out of ten, a very good beginning is made because the root has started changing. The habit pattern lies at the root of the mind, and the root of the mind is strongly related to the sensations on the body: mind and matter are so inter-related, they keep on influencing each other. If this law, if this nature, is merely accepted at the intellectual level, or devotional level, the benefit will be minimal it may inspire you to practise. But the real benefit accrues through the actual practice. It is good that all of you have come and given a trial to this technique for ten days. If you are convinced by this trial: that it is a good path, a scientific path, that no blind faith is involved, no dogma is involved, no conversion from one organised religion to another organised religion is involved, that no gurudom is involved, that no guru will liberate you from your addictions or from your miseries, that you have to work out your own salvation; if in these ten days you are convinced that this is a good path, then I would say that you have been successful. It is a long path, a lifetime job. Even a journey of ten thousand miles must start with the first step. For one who has taken the first step it is possible that one will take the second step, the third step, and like this, step by step, one will reach the final goal of full liberation. May you all come out of all your addictions. Not merely addiction to drugs or alcohol: the addiction to the mental impurities is stronger than these. It has been with you for so many lives; a very strong behaviour pattern, which you have to break to come out of your misery. It is a big job. A big responsibility. And you are not doing it to oblige anybody; not to please any God Almighty, not to please your teacher. You are doing it to oblige yourself; for your own good, for your own benefit, for your own liberation. And the process is such that when you start to benefit from the technique, from the path, you cannot resist helping others. It is then not merely for your own good, for your own benefit, for your own liberation, but also for the good, the benefit and the liberation of so many. So many people are suffering all around: may they all come in contact with pure Dhamma and come out of their misery. May they start enjoying peace and harmony; peace and harmony of the liberated mind, liberated from all the defilements.